Let's Explore — Octa - The friendly chatbot for kid travelers! Octa provides info on over 100 of the world's most epic cities at your fingertips. Click on the button below to chat with Octa. We also have a monthly spotlight on one of our faves right here! Want to hear a secret? Parisians really do ride bikes with a baguette in their basket! 😆 And you can, too! Paris has a great bike share system called Donkey Republic that makes renting bikes super easy. A great place to bike is along the Seine on the Left Bank. You can bike from the city enter all the way to the Eiffel Tower if you're up for it! Every summer, the banks of the Seine are transformed into an urban beach resort. Open from July to September, the Seine is the place to come for games, sunshine and swimming! Swimming pools are set up inside the Seine so you can feel like you're swimming right in the river. 😎 The locations change each year, so check the website in advance! Ever heard of it? 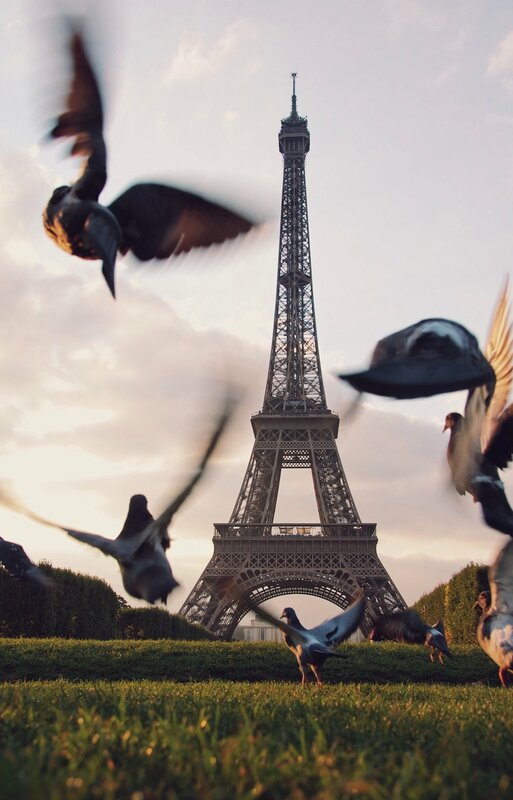 😝The Eiffel Tower is the most iconic building in Paris! Wait in line and climb up to the top or walk to the Champs de Mars, the huge park at the tower's base, to see the stunning structure from below. The Jardins du Trocadéro is the best place to take epic selfies with the tower in the background. At night, the tower sparkles at every hour. While you're there, enjoy a crepe with nutella! The Louvre isn't just any old art museum – it's the biggest and most-visited art museum in the world! 😮 And there's one in Abu Dhabi, too. The Louvre is filled with more art than you could ever see in one day, but be sure to see the Mona Lisa by Leonardo da Vinci, Liberty Leading the People by Eugène Delacroix and the excellent Egyptian art collection. 🎨 Outside, don't forget to take a picture with the famous pyramid! This enormous science museum is one of the best kids' museums in the city. 😃 There is so much to explore, like a planetarium, a 3-D movie theatre and a real 1950s-era submarine from the French Navy! ⚓️ Head downstairs to find the Cité des Enfants, with interactive workshops for kids aged 2 to 7 and 5 to 12. The museum is set inside La Villette, one of the biggest parks in Paris, so leave some time to play outside, too! Calling all car fanatics! BMW Welt is one of the most famous car showrooms in the world. 🚗 🚕 🚙 After walking through the enormous collection of BWM's latest speed-mobiles, head to the Junior Campus. Here, kids can learn more about engineering and even design your own aerodynamic speed machine in the workshop. 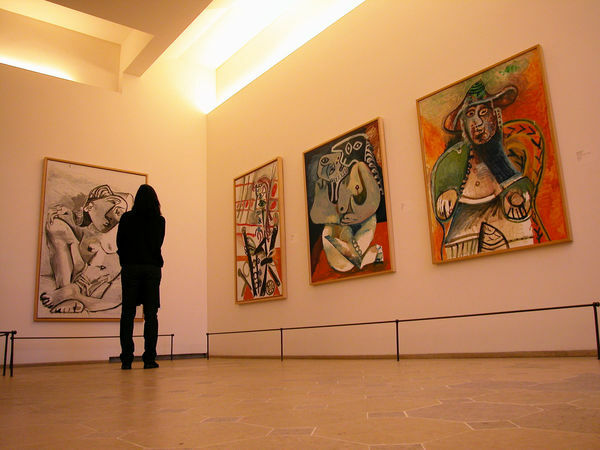 Pablo Picasso was one of the 20th century's greatest artistes, of course! 🎨 Visit this beautiful 17th-century mansion to see his work on display. As he crafted some 50,000 works during his lifetime, the paintings, drawings and sculptures on display are always changing! The Parc des Buttes-Chaumont is so cool because it doesn't feel touristy at all. And it's enormous! This park has rolling hills, hiking trails, playgrounds and so many cute dogs to watch. 🐩🐕 Walk over the cool suspension bridge for a view of the whole park. Calling all natural history fans! 🚨🚨The Museum of Natural History in Paris isn't just one museum – it's five! 😀 The museums are scattered throughout Paris, but you can find three in the Jardin des Plantes. Here, you can see dinosaur bones, meteors, lifesized taxidermied rhinos and tigers and so much more.